Nicola is an Associate Director of the Firm and Head of our Employment & HR team. She joined Thorneycroft Solicitors in 2010 and subsequently qualified as a Solicitor with the firm in 2014 after completing the Legal Practice Course with a Distinction.Nicola advises on all aspects of employment law including terminations, restructures & redundancy and discrimination, as well as HR matters and is particularly involved in providing support to our business clients. She also regularly advises on settlement agreements.Nicola has played a key role in the development of our employment law and HR retainer offering for businesses, Employment Shield, and she frequently appears on local radio stations. 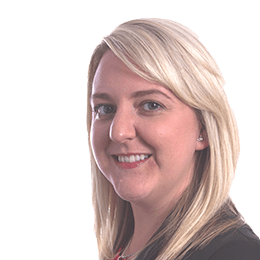 Nicola is also a member of the Employment Lawyers Association.Outside of work, Nicola enjoys travelling, cooking and spending time with her family and friends.